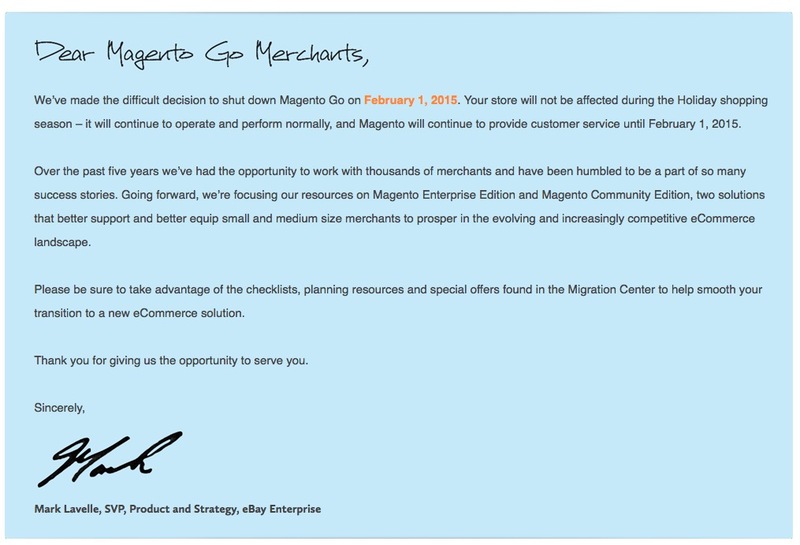 On February 1, 2015 Magento Go is Shutting Down! I think this is the worst thing a Company can say to its clients. Surely you could have organised a several easy options for your clients, who have trusted and used your services over the years. Forcing people to migrate to your $12,000/ year Enterprise software, is not fair. Neither is downgrading to the less featured community edition. We at Inet have always presented our clients several options, each business has its own objectives and would require a different solution, thats why we work with many shopping carts and not just push one. If your a Magento Go customer and are looking for a way out, give us a call and lets help you find a solution moving forward and make the move a whole lot smoother and little stress. I really think Magento should ahve thought this out better. Merchants dont have time to go through all this, they just want to concentrate on the business and keep selling. Mobile responsive website design is a must these days.